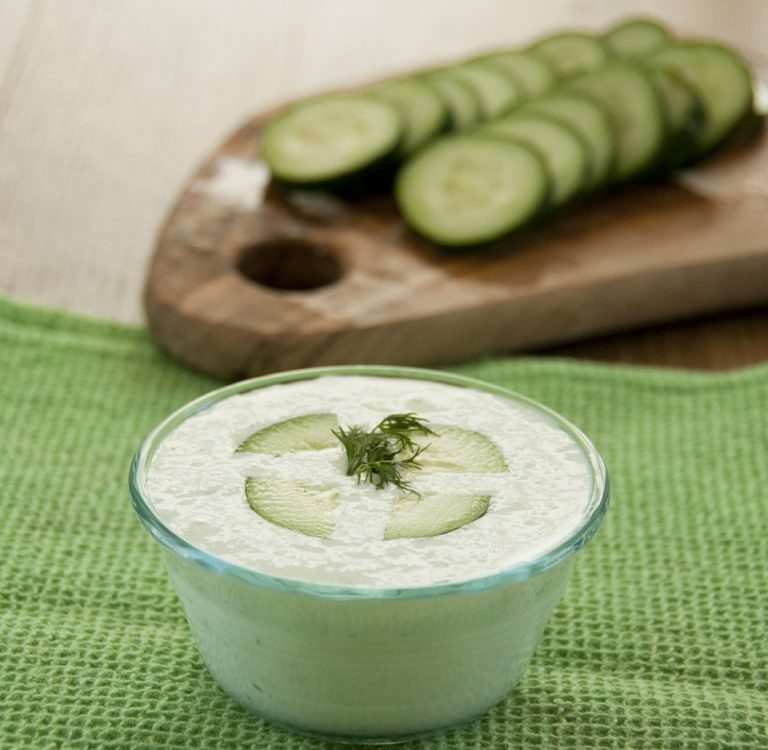 An easy recipe for homemade Tzatziki sauce, otherwise known as Greek cucumber yogurt dip. I have a special love for Greek flavors and Greek foods in general. One of my very favorite dinners I made this summer were these Grilled Greek Chicken Pitas and I love to experiment with different cool and creamy Tzatziki sauces to top them off with. 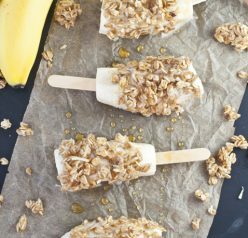 This one is SUPER easy to make and great for when you’re in a hurry. In case you don’t already know, Tzatziki sauce is a tangy cucumber dip flavored with garlic (and sometimes lemon juice) and compliments grilled meat or grilled vegetables perfectly. 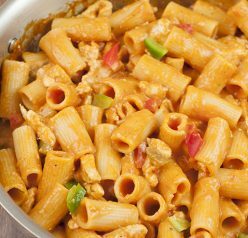 I have to admit that the first time I made a version of this sauce I was nervous as it seemed like an unlikely combination with the dairy and lemon juice put together, but it really is great. This Tzatziki sauce can be used as a dressing/sauce on a pita or sandwich, as I normally use it, or it can stand alone as a dip for veggies or pitas. If you make it as a dip I’d recommend some warm whole wheat pita bread triangles to serve it with. Oh, and it’s guilt-free, of course. Enjoy! Mix yogurt, cucumber, garlic, lemon juice, dill, and salt together in a bowl. Cover bowl with plastic wrap and refrigerate 1 hour to let the flavors develop. 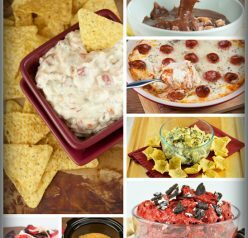 Hooray for all things homemade! Your tzatziki sauce would go great on a gyro or Greek burger. Yum! I love a nice fresh tzatziki sauce! It’s really wonderful this time of year with the garden fresh cucumbers and dill. I love Tzatziki but had no idea it was so simple to make. Such a refreshing summer condiment. I had no clue Tzatziki could be so easy – thanks oodles Ashley! Great easy recipe. I am making gyros this weekend and this will be a perfect addition! It goes great with gyros! Oh, yum. I have been thinking about making falafel lately, and this would be so perfect with it … Bookmarking! Mmmm, I love tzatziki. Yours looks great, and now (of course) I’m craving it! I could eat that stuff with a spoon. I haven’t had tzatziki in ages – and now, I want to make it! Pinned! Grilled veggies would go perfectly with this tzatziki sauce! I can think of so many things this would be perfect on. Tzatziki is a weakness of mine. There is a fabulous Middle Eastern market by my house and I stop by sometimes just to get their fresh falafel and tzatziki. Yours looks perfect! Squee, this is awesome. I used to work in a greek restaurant and made this all the time. Now I am craving it really bad. Looks absolutely amazing. Just hand me a spoon. I am just starting to like Greek dishes so I am not that familiar with this sauce, however the flavor profile sounds delicious! I have to try it! I absolutely love tzatziki. The only problem! I can’t stop eating until the bowl is empty! Just give me a spoon! I don’t need anything else, I love tzatziki that much! I’d like to bathe in tzatziki sauce. Is that weird? It’s totally weird. I’m digging this easy version. Can’t wait to try it! Hahaha thanks for the laugh!! I could eat Tzatziki sauce with a spoon! Yum!